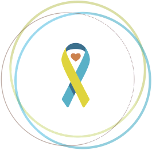 While it is only the third week of January, we have already begun to hear rumblings of Down syndrome walk teams either starting to plan their fundraising or beginning their first mini fundraiser in preparation for walk season. It might be winter now, but summer and soon fall will be here before we know it! Many walk teams and team captains have the best intentions to host a team fundraiser. 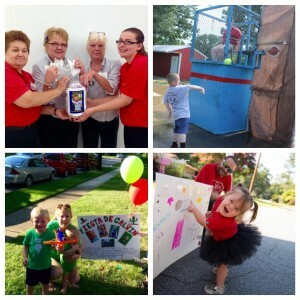 The question usually becomes, “What kind of fundraiser do I have?” As part of our wrap up of the 2015 walk season, we asked team captains to share with us how they fundraised for their local Down syndrome walk. These team captains came up with a creative list of ideas that helped them raise crucial funds for their walk team. There are also so many additional ideas that have yet to be added to the list. Coming up with the fundraising idea that’s right for you and your network is key. We cannot wait to see the great walk team fundraisers that take place this year! Stay tuned to our blog for details on our Summer of Fun-draising contest later this year, where you can submit your team fundraisers for the chance to win a prize. Ds-connex is excited to announce our new contest: MyVIP! Parade of Gingerbread Houses - enter for a chance to win an Amazon gift card! It’s Time to Recognize the Super Sibs! Ds-connex Presents: The Fourth Annual Summer of FUN-draising Contest! In Honor of Our Dads: The 2018 #DownSyndromeDads Contest is back! It’s Time for the 4th Annual #DsTeachers Contest! Ugly Sweater Contest - Win something for yourself and your 2018 team! It’s Time to Recognize the Super Sibs Again! Ds-connex Presents: The Third Annual Summer of FUN-draising Contest! Ds-connex Presents: The 2017 #DownSyndromeDads Contest! The #DsTeachers contest is back! The #DownSyndromeDads Contest is Back! Who Do You Run For? Which component is a “must-have” for your event? Choose up to 3 answers. Food onsite for purchase; food trucks, venue provided food options, etc.